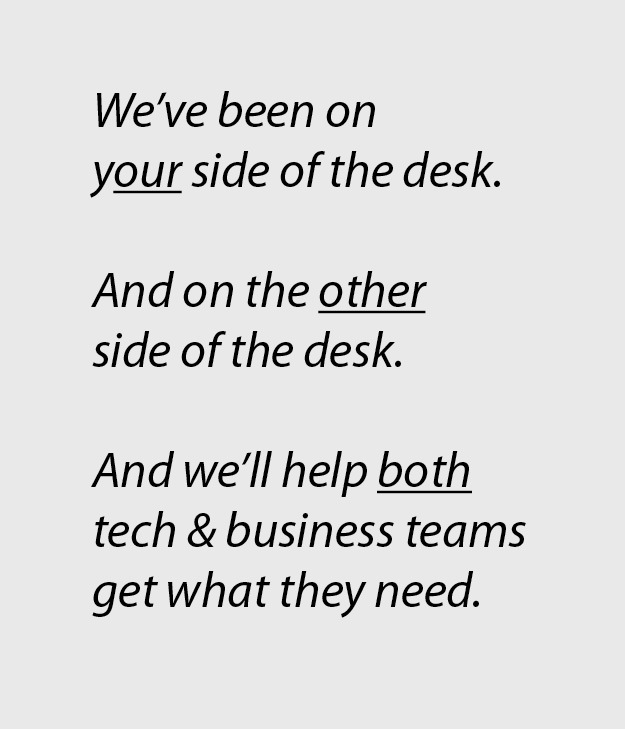 We’ve been on your side of the desk. We’ll give you the technology and communication tools you need to make it all work. Takes so long to get anything done! Says they can not meet our requests. We’ve been on all sides of the fence. From writing requirements…to executing them…to managing the entire process. Our team understands what you need. We will give you what you need.